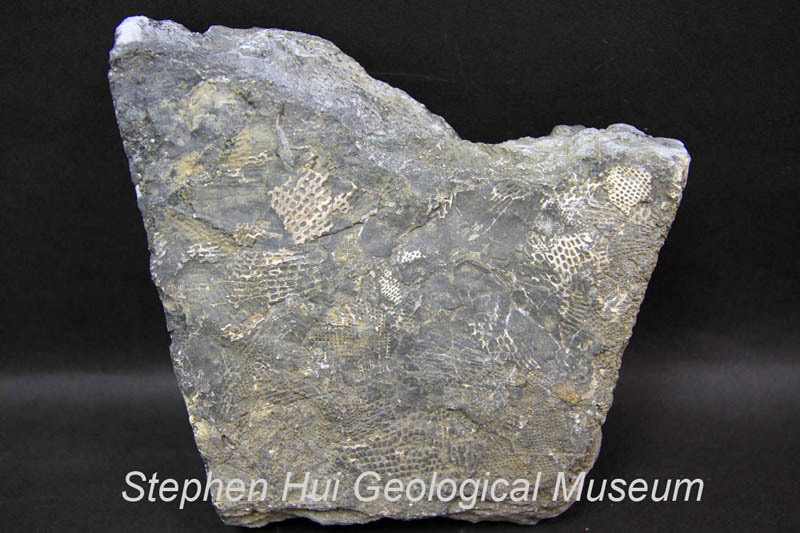 Fenestellids belong to the Phylum Bryozoa (moss animals). They were tiny, sheet-like colonial animals that preferred warm, tropical waters. Similar to corals they built calcium carbonate skeletons. The Fusulinida were a large group of Foraminifera, single-celled protozoans, that reached sizes of several centimetres in length. They had a benthic or planktonic lifestyle in shallow marine habitats.